This investing trade alerts summary examines recent trade alerts issued through the Princeton Research text messages investing trading alerts membership service. The where to invest now service is offered as part of their Market Investing Strategies Newsletter membership service. The company has combined their long running where to invest your money now financial markets and economic news newsletter with a text message investing trade alerts service. 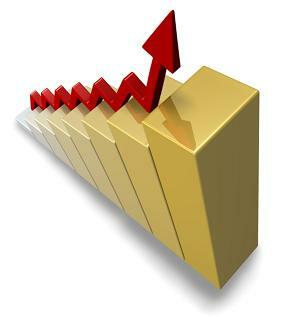 The trade alerts service has produced a track record of over 4 years of profitable trading success. A complete, “done for you” service, the trade alerts service is not a system or training course. All trade alerts research and analysis is done for the subscribers. Specific buy and sell trading alerts are sent out by e-mail and text message, when the Princeton Research trading team makes the trades. While suggested buy and sell amounts are issued with the trades, investors are free to invest whatever amounts they are comfortable with. Investors can get started for as little as they are comfortable trading, and move up as they secure profits. Loss Protection and Secured Profits – The investing strategies utilize strict risk control and avoids the risky “double or nothing” mentality so prevalent in options trading speculation. Two key, time tested, investing strategies rules utilized by the service traders protect the investment portfolio, avoid large losses and enable investors to take their profits. 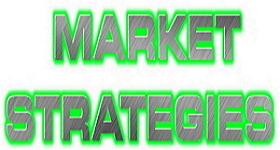 Both the Market Investing Strategies Newsletter and the trade alerts service are based on the proven principles of “Balanced Investing Strategies To Make Money In Up or Down Markets”. Princeton Research, Inc. provides e-mail and text message trading alerts. Membership in the investing trading alerts service also includes the Market Strategies Newsletter, which features in-depth balanced investing, make money in up or down markets, financial news and analysis. Sample issues can be obtained at the Princeton Research website along with links to gain access to the full services VIP Member subscriber issues. The options trading and investing newsletter is produced by Mike King and Charles Moskowitz, who have over 80 combined years of successful investing and market trading experiences. Week 42 produced a loss of $264 bringing YTD performance back to $7,571 with only 1 open small (half) position in SPY 10/28 213 puts @ $1.03. Funds in use total $412. The market did nothing this week with the S&P500 having an inside week with a total range of only 24 points and a net change of only .38%. The internals were slightly positive but not enough to give us any hint of direction. Even though the US$ was higher, so was Oil and Gold. The Russell, devoid of large-cap internationals and supposedly immune to the dollar saw a decline of almost 2%. The A.A.I.I. numbers are also confounding with the bears now at 37.8 or 20% over average, bulls are 23.7 or 40% under average and neutral are 38.4 and 20% above average. This is not what market corrections are made of, and yet the chart below couldn’t look more dangerous to me: the A.A.I.I. survey with Bull now 30% below avg, Bears 10% above and Neutral still the highest reading @ 40.8% still over 33% above average. So while I’m trading from the short side primarily, we are not nearly done with the long term upside. However, after looking a lot of charts this weekend the group that looks the most ready to rally is the VIX, VXX and the leveraged reverse indexes…not a great way to start the week. We have the 3 distinct tops in August and the massive $54 break 9/9. We rally but can’t get back above the gap from that gap @ 2180 and consolidate until 10/10 when we break again. This formation from 9/9 to 10/10 is a “bear flag” and the action since then has not been able to close above 2150. All during this time the momentum is trailing off and OBV is actually making new lows. However, if it goes on much longer it will start to look like just another consolidation and will favor the seasonal upside bent to the market in the November/December period. TEXTING SERVICE TO RECEIVE ALL UPDATES. To get the lowest full membership rates available now.